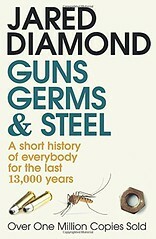 'Guns, Germs and Steel' is a book of history or popular science, depending on the way you look at it. It tries to answer few questions on human evolution. The author of this book Jared Diamond is a professor of geography and his first-hand experience of different societies across the world enabled him to look into the questions of evolution broad-mindedly. 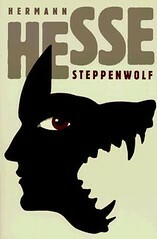 The motivation behind this book was to answer the question asked to him by one of his friends in New Guinea. The question was why the West European nations colonized the New Guinea and not the vice versa. A narrow-minded approach might give superiority to some races and might conclude that these races were better in using their brains and manipulating the nature but Jared Diamond says that races have nothing to do with differences in evolution. Instead, it was the geography and biogeography which made the things the way they stand today. In determining that which societies will be comparatively technologically advanced and which will remain hunter-gatherer, the development of food production has a crucial role to play. The Fertile Crescent of Eurasian landmass and some areas in China had an advantage - the availability of grasses with large seeds which were the potential candidates for domestication. Americas, Australia, and Sub-Saharan Africa have few domesticable plant species compared to Eurasia. The same can be argued for the animals. In addition, the east-west major axis of the Eurasia helped in the adoption of domesticated species in new societies, as weather/climate conditions at same altitude do not vary much. Hence, a crop can be easily grown in different societies having similar climate, for example, subtropical climate. Once crops were grown on a large scale, humans started to settle in villages and leave hunting-gathering lifestyle. Once that happened, large centers of human population led to the possibility of having humans whose primary occupation was not farming. This happened because of availability of food surplus. That, in turn, led to the development of technology and centralized decision-making system. Jared Diamond also explains the reason behind the movement of the people in a certain direction and not in the other direction. To determine the direction of the movement linguistic evidence plays a major role, followed by archaeological artifacts such as pottery. If in an area a language family shows more variation than an area where subfamilies of a language group show greater similarities, then it is clear that former has got more time to develop differences and that area can be considered to be the origin of the people speaking languages of that family. Also, if in a language family root words are same for an object then it means that that object existed when the language was evolving . If there is an entirely different word for that object not found in parent languages then that object was independently developed or acquired from neighboring civilizations. The author gives examples of states which prohibited the use of certain technologies such as shipbuilding and seafaring in China in medieval times and use of guns in Japan in later medieval times. The author argues that these decisions could have been potential game-changers. Organization of the state matters in the eventual fate of the people. As China was unified when colonial exploration begun in medieval times, a decision by a monarch to not build ships was the end of the road for prospective explorers. At the same time, Europe was organized into many small states. When Columbus was denied the permission by one state, he approached another and after many unsuccessful attempts, he got the permission from Spanish State. In the concluding chapter, Jared Diamond discusses the future of history as a science. As said in the opening paragraph, this book can be considered to be a book of history if we see history as the description of something which happened in the past or to be a book of popular science if the methodology involves logical deduction and evidence-based reasoning. Compared to physical sciences such as physics, chemistry and molecular biology, history and its sister streams such as evolutionary biology, archaeology etc. face the problem that in these streams the past matters. In physics, the history of atoms does not matter when they collide. Also, in history, we cannot conduct controlled experiments. The other problem is that the results are probabilistic in nature which means that for a large sample results can be predicted with a reasonable accuracy but we cannot predict the individual events. ".. फिर भी लेक्चर इतने ज्यादा होते थे कि दिलचस्पी के बावज़ूद, लोगों को अपच हो सकता था। लेक्चर का मज़ा तो तब है कि जब सुननेवाले वाले भी यह समझें कि यह बकवास कर रहा है और बोलनेवाला भी समझे कि मैं बकवास कर रहा हूँ। पर कुछ लेक्चर देनेवाले इतनी गम्भीरता से चलते कि सुननेवाले को कभी-कभी यह लगता था यह आदमी अपने कथन के प्रति सचमुच ही ईमानदार है। ऐसा संदेह होते ही लेक्चर गाढ़ा और फीका बन जाता था और उसका असर श्रोताओं के हाज़मे के खिलाफ पड़ता है।… ज्यादातर लोग की लेक्चर की सबसे बड़ी मात्रा दिन के तीसरे पहर ऊँघने और शाम को जागने के बीच लेते थे।"
The book is divided into two parts. The first one is titled - 'The adventure of the Hero.' In this part, the author describes the monomyth - a myth found in most of the mythologies with slight variations. The monomyth describes the life of the hero - who may be a God, a saint or a worrier. The first step is the departure in which the hero gets a call to adventure by supernatural means or by the conditions prevailing around him. This is the first threshold that he has to cross. Then comes the initiation. In this phase, the hero faces many hurdles and has to prove that he is worthy of being the chosen one. When he attains the ultimate boon which can be some knowledge or any other possession, he is ready for the third phase - the return. In this phase, hero initially refuses to return to his previous world but then he is 'rescued' and returns. There he lives as a triumphant person who has mastery over some art or has knowledge of something hitherto secret to an ordinary human being. The second part of the book is titled - 'The cosmogonic cycle.' It is concerned with metaphysical aspects of mythology such as the creation of the universe. In this part, the author discusses the meaning given to things around us in mythology. An important topic of all the mythologies is creation and destruction - of both unit (microcosm) and universe (macrocosm) itself. In this part, the author also describes many forms given to the hero in mythologies such as lover, warrior, emperor, redeemer and saint. 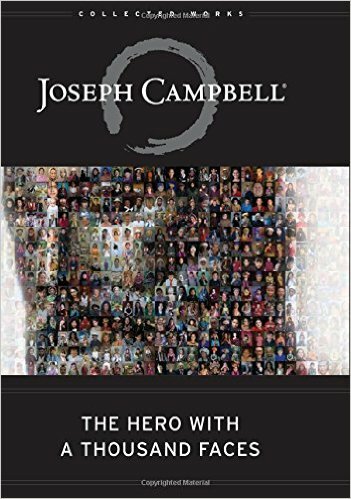 In this book, the author Joseph Campbell has tried to explain the reason behind the myths by taking recourse to theories put forward by Jung and Freud. It was implied that man invented theories involving heroic figures for the events which could not be explained by existing knowledge or to quell the fear of unknown. This book is somewhat difficult to read without the prior knowledge of mythology and psychology, but once you get the summary of the theories involved, it becomes easy to comprehend. The author has given so many examples of the myths (stories from the communities around the world) that the larger monomyth formed by combining them is so convincing. It could be said that without knowing the examples it would have been so difficult to believe that mythological figures from around the world are so similar. Almost all the major and minor religions are represented in the stories presented in this book. "The descent of the occidental sciences from the heavens to the earth (from seventeenth-century astronomy to nineteenth-century biology) and their concentration today, at last, on the man himself (in twentieth-century anthropology and psychology) make the path of a prodigious transfer of the focal point of the human wonder." The author concludes in the end that it is not the society that is to guide and save the creative hero but precisely reverse.